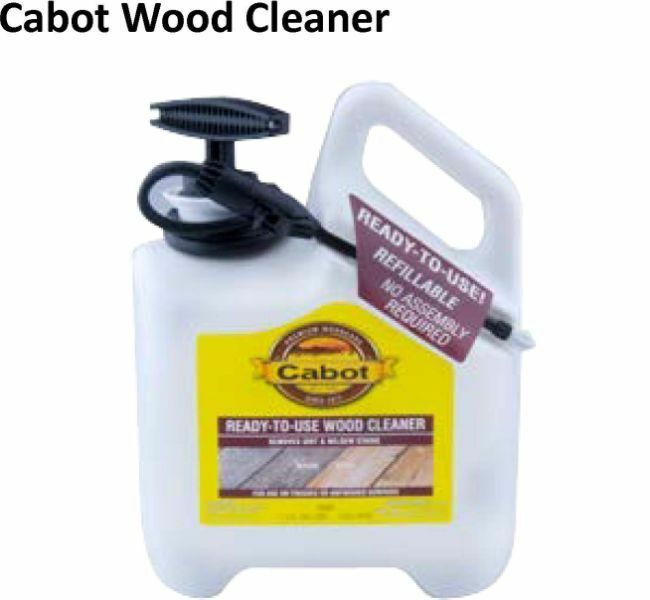 Cabot Stains, a division of Valspar Corp., of Newburyport, MA, is recalling about 17,500 units of the Wood Cleaner and 10,900 units of the Wood Brightener. The spray pump used for both products can lose its seal, causing the product to leak. Chemicals in these products can cause burning or other serious injuries if the product comes into contact with skin or eyes or is ingested. Three incidents of leaks have been reported, but there are no known injuries. Both products come in 1.3 gallon white handle tanks with black pump assembly and sprayer hose. 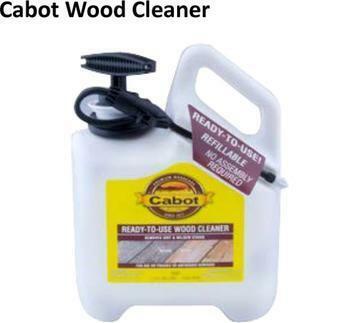 The front has a yellow Cabot label with the product name. The back panel label contains instructions for use and product information and UPC codes 080351810503 on the Wood Cleaner bottles and 080351810497 on the Wood Brightener bottles. The products, made in the U.S., were sold at Ace Hardware, Do It Best, Farm & Fleet, Lowes Home Improvement Stores, United Hardware, and other hardware stores nationwide from March 2011 until June 2012 for about $25. Remedy: Consumers should immediately discontinue use of the products and return them to the store of purchase for a full refund. Consumers should also not attempt to reuse empty containers. For additional information, contact Cabot toll-free at (877) 755-3336 between 8:00 a.m. and 8:00 p.m. 7 days a week. 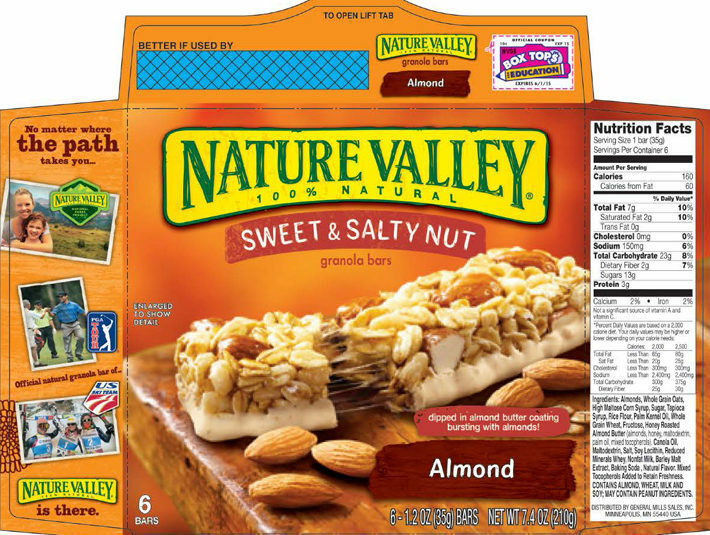 General Mills is recalling a single day's production of Almond Nature Valley Sweet & Salty Nut Granola Bars because of a labeling issue. The product produced on this date may have been packaged incorrectly, and may contain allergens not listed on the box's ingredient label, specifically peanuts. 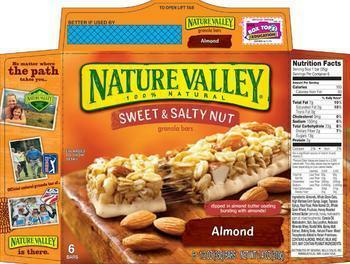 The Almond Nature Valley Sweet & Salty Nut Granola Bars carton does contain an allergen statement indicating the product "may contain peanuts." 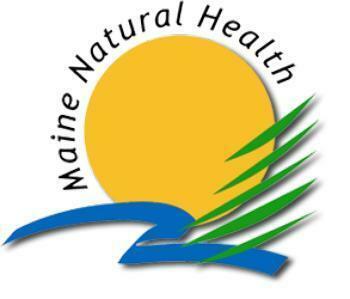 Maine Natural Health is recalling Whey Protein Concentrates as the labels fail to declare allergens including milk, shellfish and coconut. People who have an allergy or severe sensitivity to milk, shellfish or nuts run the risk of a serious or life-threatening allergic reaction if they consume these products. Fortified and Endurance Daily in Stronger Faster Healthier contains the allergen milk. Recovery (also labeled as Post Workout) and Rejuvenate in Maine Natural Health and Stronger Faster Healthier contains the allergens milk and glucosamine derived from crab shells. Daily Balance, Endurance Daily, Endurance In Race, and Hunger and Weight in Stronger Faster Healthier contains the allergens milk and coconut fat that is derived from coconuts. 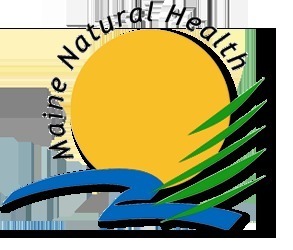 Stronger Faster Healthier and Maine Natural Health products are sold in chocolate, natural, vanilla, lime, coconut and pina colada flavors and in the two lb, 10 oz and 30 gram sizes. Products were sold from July 14, 2010, through August 31, 2012. These products were distributed nationwide both directly to consumer via the internet and through retailers. The recall notice was been initiated because these products contain milk ingredients but do not list on the labels that the ingredients are derived from milk. In addition, products sold under the name Recovery (also labeled as Post Workout) and Rejuvenate contained glucosamine derived from crab shells. Products sold under the name of Daily Balance, Endurance Daily, Endurance In Race, and Hunger and Weight are made from coconut fat that is derived from coconuts. If you are allergic or have extreme sensitivity to milk, shellfish or nuts, you should discontinue use. To date, no consumer has reported any allergic or other negative reaction to any products. 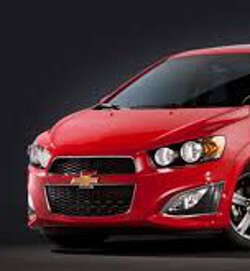 General Motors (GM) is recalling 4,716 model year 2013 Chevrolet Sonic vehicles manufactured from May 29, 2012, through August 29, 2012. When a turn signal lamp fails to operate, the Body Control Module (BCM) in these vehicles does not detect this condition and will not indicate the condition to the driver. Thus, these vehicles fail to conform to Federal Motor Vehicle Safety Standard No. 108, "Lamps, Reflective Devices, and Associated Equipment." GM will notify owners, and dealers will reprogram the BCM and the vehicle's key fobs, free of charge. The safety recall is expected to begin on October 3. Owners may contact the Chevrolet owner center at 1-866-694-6546. 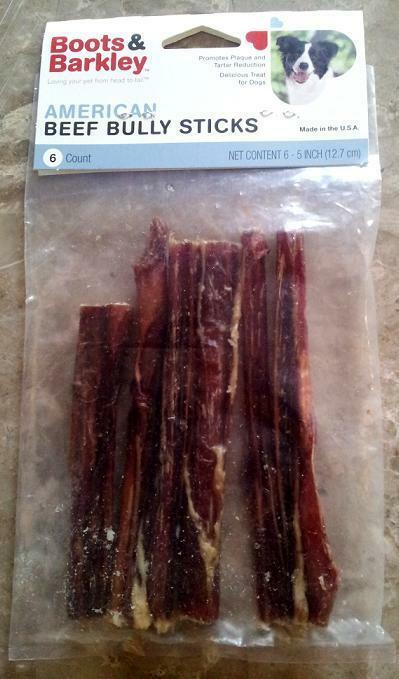 Kasel Associated Industries of Denver is voluntarily recalling its Boots & Barkley 6 count 5 Inch American Beef Bully Sticks product because it may be contaminated with Salmonella. The recalled products were distributed nationwide through Target retail stores from April through September 2012. BESTBY20APR2014DEN, BESTBY01JUN2014DEN, BESTBY23JUN2014DEN, and BESTBY23SEP2014DEN. No illnesses have been reported in animals or humans in connection with this problem. The recall was the result of a routine sampling by the State of Colorado Department of Agriculture which revealed that the finished products contained the Salmonella bacteria. The company has ceased production and distribution of the product while FDA and the company continue investigating as to the source of the contamination. No other products made by Kasel Associated Industries are included in the recall. General Motors (GM) is recalling 426,240 model year 2007-2010 Saturn Aura, model year 2008-2010 Chevrolet Malibu and Pontiac G6 vehicles, equipped with a 4-speed automatic transmission. The tabs on the transmission shift cable end of these vehicles may fracture and separate. If that were to happen the shift lever and the actual position of the transmission gear may not match. The driver would be able to move the shifter to 'PARK' and remove the ignition key, but the transmission gear may not be in 'PARK.' The vehicle may not be able to be restarted and the vehicle could roll away after the driver has exited the vehicle, resulting in a possible crash without prior warning. GM will notify owners, and dealers will install a retainer over the cable end or replace the shift cable as necessary. This service will be performed free of charge. GM has not provided a notification schedule. Owners may contact General Motors at 1-800-521-7300. Customers may contact the National Highway Traffic Safety Administration's Vehicle Safety Hotline at 1-888-327-4236 (TTY: 1-800-424-9153). Del Monte Fresh Produce is recalling of 1,600 bowls of fresh-cut mangoes distributed to retail outlets due to the potential risk that the mangoes may contain Salmonella. 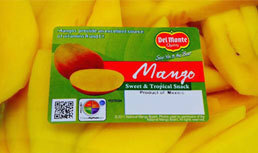 This recall is associated with FoodSource's (Edinburg, TX) recall of mangoes sourced from Agricola Daniella in Mexico. The recalled product was distributed between September 8-12, 2012, by retailers in Florida, Georgia, North Carolina, Oregon, South Carolina, Tennessee and Washington state. It is packaged in clear plastic 32 oz bowls with a Del Monte label on the top. The affected product will have printed Best By date 9/18/12 and lot code 05252101 below, and Best By date 9/22/12 and lot code 03256100 below. These dates and codes are clearly printed on the top label of each individual package. The UPC is 7-62357-07532-1. There have been no reported illnesses attributed to the items listed in this recall. Del Monte has directed retailers who have received the product to remove it from their store shelves. Consumers who purchased the affected products should not consume them and should destroy or discard them. Consumers with questions may contact the company’s consumer hotline at 1-800-659-6500 or email Del Monte Fresh at Contact-US-Executive-Office@freshdelmonte.com. ThyssenKrupp Access Manufacturing of Roanoke, IL, is recalling about 670 LEV II, Volant and Rise residential elevators. The elevator’s door can unlock and open at a landing with no elevator car present, exposing the elevator shaft and posing a fall hazard to consumers. No incidents or injuries have been reported. This recall involves LEV II, Volant and Rise residential elevators that were installed in residences with three or more floors. The elevator’s four-digit model number is part of the longer serial number. Model numbers included in this recall are “RLWL” for the LEV II, “RLGL” for the Volant and “RLRC” for the Rise. The model/serial number is printed in the owner’s manual and at the top of the elevator’s controller, which is mounted at the top of the elevator in the hoistway or shaft. 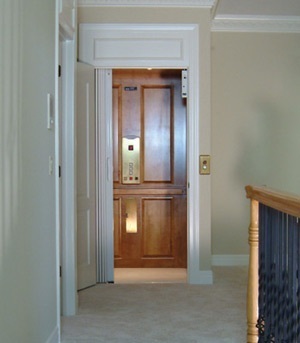 The elevators, made in the U.S., were sold by dealers from December 2010 through August 2012 for between $16,000 and $26,000 installed. Consumers should stop using the elevators immediately if they see an “E3” or “E8” error code displayed on the elevator. Even if there is no “E3” or “E8” error code displayed, contact the firm to arrange for a free software upgrade for the elevator. The firm’s dealers are directly contacting consumers who purchased the recalled elevators. For more information, contact ThyssenKrupp Access Manufacturing LLC at (800) 925-3100 between 7 a.m. and 5 p.m. CT Monday through Friday or email the firm at levplc@tkaccess.com. 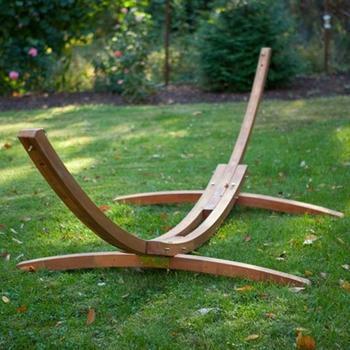 Hayneedle of Omaha, NE, is recalling about 131 Shorea wooden arc hammock stands. The layers of wood in the stand can separate and fail, causing the stand to break and posing a fall hazard. The firm has received 18 reports of incidents, including one injury that required medical attention. The recalled Shorea wood hammock stands are natural colored with an arc-shaped holder standing perpendicular to two base pieces. The stand is 14.5 feet long, 5 feet wide and 4.25 feet high. It is compatible with spreader bar hammocks, which are sold separately. The item/model number VFA042-1 is printed on the packaging. The stands, Manufactured Vietnam, were sold at Hammocks.com during June and July 2012 for about $380. Consumers should immediately stop using the hammock stand and return it to Hayneedle. The company is offering consumers a full refund, including return shipping costs, or a substitute hammock stand at no additional charge. Hayneedle has directly contacted consumers who purchased the hammock stands. For additional information, contact Hayneedle Customer Care toll-free at (866) 508-1142 between 8 a.m. and 10 p.m. ET Monday through Friday or between 10 a.m. and 6 p.m. ET Saturday to schedule a convenient pick up time for your hammock stand and arrange a full refund or exchange. 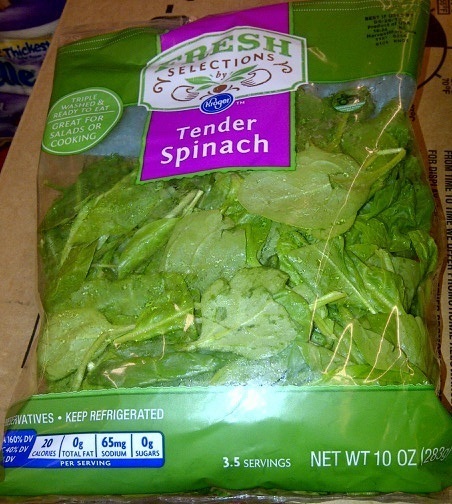 Kroger stores in 15 states are asking customers to check their refrigerators for certain Kroger Fresh Selections Tender Spinach 10 ounce packages (UPC: 0001111091649) with a "best if used by" date of September 16. 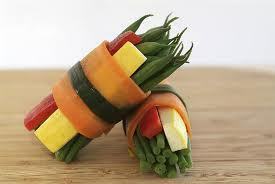 This product, supplied by NewStar Fresh Foods LLC, is being recalled because the product may contain Listeria monocytogenes. Customers should return the items to stores for a full refund or a replacement. Kroger stores in Ohio, Kentucky, West Virginia, Virginia, Georgia, Alabama, North Carolina, South Carolina, central and eastern Tennessee, and Michigan. Kroger, Jay C, Owen’s, Pay Less, Scott’s and Food 4 Less stores in Indiana, Illinois and eastern Missouri. Dillons, Baker’s, and Gerbes stores in Kansas, Missouri, and Nebraska. Fry’s, Ralphs, Fred Meyer, QFC, Smith’s, King Soopers, City Market and Food 4 Less/Foods Co. in California. Kroger has removed affected items from store shelves and initiated its customer recall notification system. Customers who may have purchased the affected products will receive register receipt messages and/or automated phone calls. Kroger is also placing signs in stores in produce departments. Kroger is asking customers to check their refrigerators for this recalled Fresh Selections product because it may contain Listeria monocytogenes. Any opened or unopened products included in this recall should not be consumed and should be returned by customers to their local Kroger store for a full refund or replacement. Customers with additional questions can contact 1-800-KROGERS. Club Car LLC, of Augusta, GA, is recalling about 4,000 golf cars and utility vehicles. The fuel tank filler neck can crack and allow fuel to leak, posing a fire hazard. Club Car has received 10 reports of incidents involving fuel tank filler necks cracking. No injuries or fires have been reported. 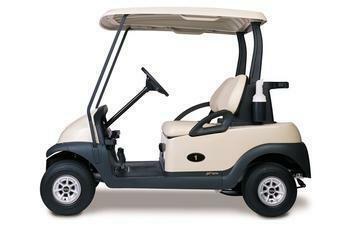 This recall involves the following 2012 Club Car gasoline and diesel golf cars and utility vehicles. The model and serial numbers are located on a decal above the passenger’s side floor board. “Club Car” is printed on the front of the vehicles. The vehicles, manufactured in the U. S., were sold at authorized Club Car dealers nationwide from April 2012 through June 2012 for between $5,500 and $17,700. For more information, contact Club Car at (800) 227-0739 ext. 3831 between 8 a.m. and 5 p.m. ET Monday through Friday. 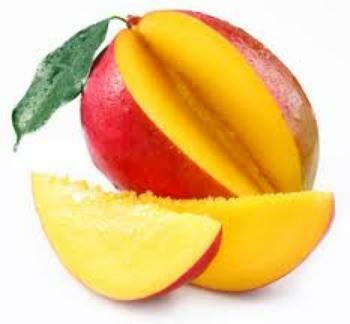 FreshLine / Caito Foods Service of Indianapolis is recalling a limited quantity of expired products that contain fresh-cut mangoes and are distributed to retail supermarkets due to the potential risk that the mangoes may contain Salmonella. This is associated with FoodSource's recall of mangoes sourced from Agricola Daniella. The Food and Drug Administration (FDA) has placed Agricola Daniella on the Import Alert Listing. FreshLine has directly notified all retailers who have received the recalled product and has directed them to remove affected product(s) from their store shelves. The product is packaged in clear plastic containers (cups, bowls, tubs, and clamshell type containers). Consumers who may have purchased affected products with the listed code dates below should not consume them and should destroy or discard them. The affected products, processed by FreshLine between July 26, 2012, and September 6, 2012, will have printed code dates ranging from 08/04/12 to 09/16/12. These code dates are clearly printed on the top or bottom label of each individual package. Those with questions may contact the company at 1-800-428-8078, Monday through Friday, except on holidays, from 8:00am to 5:00pm EST. H&M Hennes & Mauritz of New York is recalling about 2,900 children's water bottles. The water bottle's spout can break off, posing a choking hazard to children. The company has received one report of an incident in England of the water bottle spout breaking off in a child's mouth as the child was drinking from the bottle. No injuries have been reported. The 16 oz. 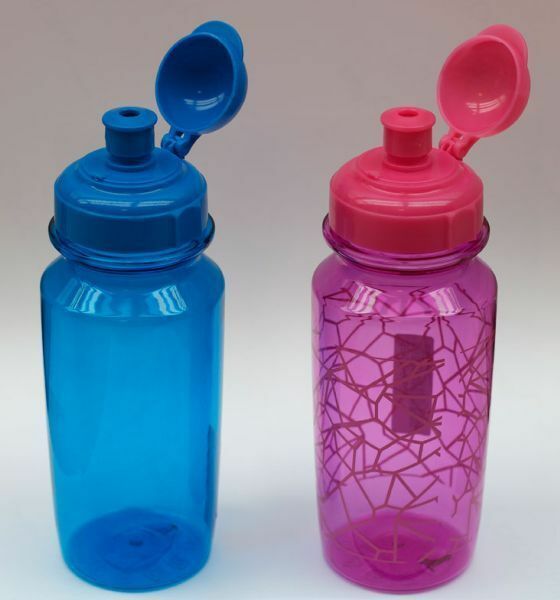 water bottles are pink plastic with a crackle design or blue plastic and flip-top lids in coordinated pink and blue colors. "H&M Sweden" and "www.hm.com" are embossed on the bottom of the bottle. The recalled products were manufactured in June 2012 and contain the manufacture date in an embossed date clock on the bottom of the bottle. The inner circle on the clock contains the number 12 with an arrow between the two numbers. The arrow points to the number 6 in an outer circle of numbers. The water bottles were made in Italy and sold exclusively at H&M stores with children's departments nationwide from July 2012 through August 2012 for about $5. Consumers should immediately stop using the water bottle and return it to H&M for a full refund. For additional information, contact H&M toll-free at (855) 466-7467. United Salad recalling various products it distributes to retail supermarkets that contain Mangoes associated with the Food Source Tomorrow’s Tropical recall with the potential to be contaminated with Salmonella. There have been no reported illnesses attributed to the recalled items. The recalled products were distributed to retailers and supermarkets from 09/01/12 to 09/17/12 in Alaska, Idaho, Montana, Oregon and Washington. A list of recalled products is listed below. The company has notified all customers who received the recalled product and requested removal from store shelves. Anyone who possesses the recalled product should not consume it and should destroy or discard it. Consumers with questions may contact the company at 1-800-547-5536 Monday - Friday, 8 a.m. to 5 p.m. (Pacific Time). Cut Fruit Express of Inver Grove Heights, MN, is recalling packaged fruit products containing cantaloupes, distributed through September 5th, 2012, with Use-by Dates as listed below. Supermom’s/Super America – Goodies – to go! 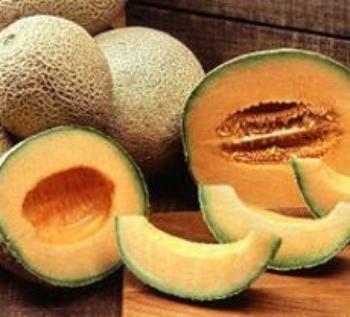 The products contain cantaloupe that has been recalled by supplier DFI Marketing Inc., due to potential contamination with Salmonella. No illnesses have been reported specific to the Cut Fruit Express Products. The recall extends only to the products with the Use-by Dates listed above and sold in Iowa, Michigan, Minnesota and Wisconsin. No other Cut Fruit Express products, other than those listed above, are included in the recall. Consumers who may have purchased the affected product are advised not to eat it, immediately dispose of the product or return the product to the place of purchase for credit. Consumers with questions may contact the company at 651-438-8834. Retailers should check their inventories and store shelves to confirm that none of the products are present or available for purchase by consumers or in warehouse inventories. Cut Fruit Express service representatives have already contacted all affected and are in the process of confirming that the recalled products are not in the stream of commerce. Whole Foods Market is recalling ricotta salata sold in 21 states and Washington, DC, that came from Forever Cheese Inc. of Long Island City, NY. Forever Cheese recalled this cheese product because it may be contaminated with Listeria monocytogenes, an organism which can cause serious and sometimes fatal infections in young children, frail or elderly people, and others with weakened immune systems. The recalled Ricotta Salata Frescolina brand cheese was cut into wedges, packaged in clear plastic wrap and sold with a Whole Foods Market scale label using PLU 293427. All “sell by” dates through Oct. 2 are affected. Fourteen illnesses have been reported which may be associated with the Frescolina recall. 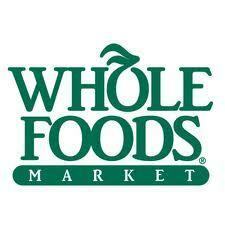 Signs are posted in Whole Foods Market stores to notify customers of this recall. Customers who have purchased this product from Whole Foods Market may return it to the store for a full refund, and call with questions 512-542-0060 Monday through Friday, 8:00 a.m. to 5:00 p.m. Central Standard Time. 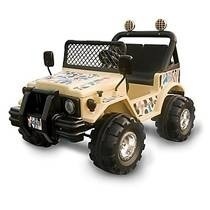 Bluestem Brands of Eden Prairie, MN, owner of Fingerhut and Gettington, is recalling about 4,700 Range Rider ride-on toy cars. The battery can overheat, smoke, melt and catch on fire, posing fire and burn hazards to consumers. The cars, manufactured in China, were sold at Fingerhut catalogs and online at Fingerhut.com and Gettington.com from September 2010, through May 2012, for between $200 and $230. Consumers should immediately stop using the recalled ride-on toy cars, remove the battery and contact Bluestem for a full refund of the purchase price plus reimbursement for shipping and handling. The firm is directly contacting those who purchased the recalled ride-on toy cars. For more information, contact Bluestem toll-free at (866) 931-5417 between 8 a.m. and 5 p.m. CT Monday through Friday. 3fish, inc. of Gastonia, NC, is recalling all seafood cakes and stuffed fish items that contain onions produced by Gills Onions, due to potential contamination with Listeria monocytogenes, an organism which can cause serious and sometimes fatal infections in young children, frail or elderly people, and others with weakened immune systems. The recalled items were distributed along the east coast in retail stores and repackaged at store level. The products were sold to Harris Teeter, Ingles, MDI (Merchants Distributors Inc), and US Foodservice. Only items with use by dates between 9/10/2012 and 9/15/2012 are included in the recall. The full list of recalled items can be found below. The products in question have been quarantined or destroyed at store level or the warehouse level. No illnesses have been reported to date in connection with this problem. The potential for contamination was noted after receiving notice of CLASS 1 RECALL - PR #12.155 Cross Valley Farms Gills Onions from US Foods. The recalled onions were an ingredient in some products manufactured and sold by 3fish, inc.
Consumers who think they may have purchased any of these items are urged to return them to the place of purchase for a full refund. For more information, consumers may contact 3fish, inc. at 1-800-213-3462, Mon-Fri 8am-5pm EST. Dawn Food Products, Inc. is recalling 251, 25-pound buckets of Sam’s Club Chunky Cinnamon Streusel because it may contain undeclared milk and soy allergens. People who have an allergy or severe sensitivity to specific type of allergens may run the risk of serious or life-threatening allergic reaction if they consume these products. 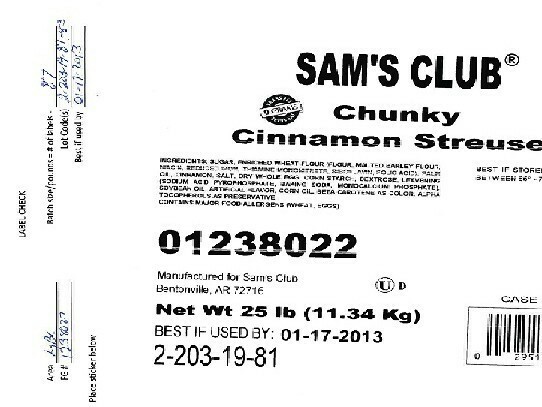 Sam’s Club Chunky Cinnamon Streusel was distributed from July 23, 2012, to September 7, 2012, in Sam's Club distribution centers in California, Missouri, Oklahoma, Texas, Utah and Wyoming. The product expiration dates are: 1-17-2013; 2-06-2013 and 2-19-2013. No illnesses or consumer complaints have been reported to date. The recall was initiated after Dawn Foods determined that the product contains milk and soy and was distributed in packaging that did not reveal the presence of these allergens. Consumers who have purchased Sam's Club Chunky Cinnamon Streusel are urged to return it to the place of purchase for a full refund. Consumers with questions should contact the Dawn Foods consumer hotline at 1-800-292-1362, Monday – Friday, 8:00 a.m. – 7:00 p.m. EST. This PREBIOTIC FORMULA was marketed under the name florAlign PREBIOTIC FORMULA. The recall does not effect the Eco Health PROBIOTIC FORMULA which is a capsule marketed also under the FlorAlign Label). Only the PREBIOTIC FORMULA is being recalled because it has the potential to be contaminated with Salmonella, an organism that can cause serious and sometimes fatal infections in young children, frail or elderly people, and others with weakened immune systems. The florAlign PREBIOTIC FORMULA was distributed throughout the United States via direct to consumer marketing (mail order, Internet and direct delivery). The PREBIOTIC FORMULA was distributed in three sizes (90 gram, 180 gram, and 270 grams). UPC code #'s FA02-90GM, FA02-180GM, and FA02-180GM respectively. It is a berry flavored powder in a white plastic screw off container and contains a scooper. It is distributed by Eco-Health, Inc. and contains the following address on the label. 25876 The Old Road #158, Newhall, CA 91321. The dates of distribution are between June 2011 - Aug 2012 in the quantities mentioned above. There are specific instructions on the label to report any adverse effects to the above address. No illnesses have been reported to date. The possible problem was first brought to the attention of Eco-Health via the FDA because the contract manufacturer notified the FDA of a similar problem with the Ingredion label. The product was manufactured by Northridge Labs which is owned by Irwin Naturals. The company has ceased the production and distribution of the product as the company continues their investigation as to what caused the problem. Customers are urged to return the product for a full refund. Anyone with questions may contact the company at 1-661-208-3446 between 7am and 7pm PST Monday thru Friday. Legrand Wiremold of West Hartford, CT is recalling about 14, 200 Legrand under cabinet power and lighting four outlet power strips. The electrical wires are reversed on the receptacles on the power strips, posing a risk of electrical shock. One incident has been reported, but there are no reports of injuries. This recall involves four-outlet under-cabinet power and lighting strips model number PX1001. 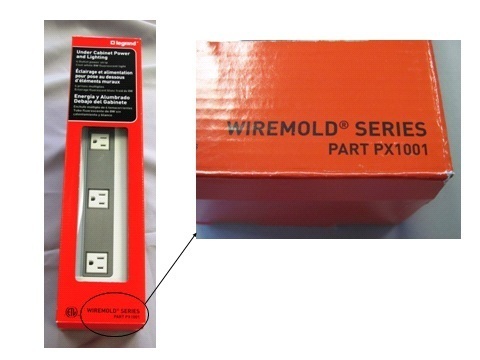 The power strips come in a red package with "Wiremold-Series Part PX1001" printed on the front. The manufactured dates of the recalled products are presented as product date codes January 2011 through June 2012, and are found imprinted on a circle on the bottom with an arrow pointing to the number of the month and the year "11" or "12" in the center. The model number PX1001, and UPC number 0 86698 00125 3, are imprinted on the bottom of the packaging. Power strips that have a star symbol printed in black ink on the packaging and on the back cover of the power strip are not included in this recall. The power strips, manufactured in China, were sold at Ace Hardware, Do it Best, Home Depot USA, Sutherland, True Value Hardware and online at Amazon.com between February 2011 and August 2012 for about $40. Consumers should immediately unplug and stop using the power strips and return them to Legrand Wiremold for a replacement or refund. For additional information, contact Legrand Wiremold at (800) 617-1768 between 8 a.m. to 5 p.m. ET Monday through Friday, or visit the firm's Website. 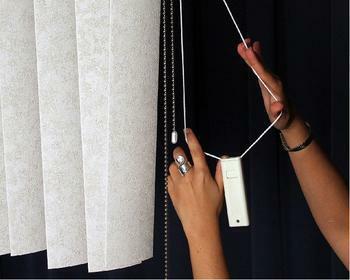 Blind Xpress of Livonia, MI, is recalling of about 139,000 custom-made vertical and 315,000 horizontal blinds. In 2009, a 2-year-old girl from Commerce Township, MI, reportedly strangled in the loop of a vertical blind cord that was not attached to the wall or floor. The blinds, manufactured in the United States, were sold at various blind specialty stores in Michigan, Ohio and Indiana from January 1995 through December 2011 for between $16 and $380. CPSC urges consumers to stop using the window coverings immediately and contact the Window Covering Safety Council (WCSC) toll-free at (800) 506-4636 to receive a free repair kit. More information is available here. Cutting Edge Concessions issues is recalling .5 oz. 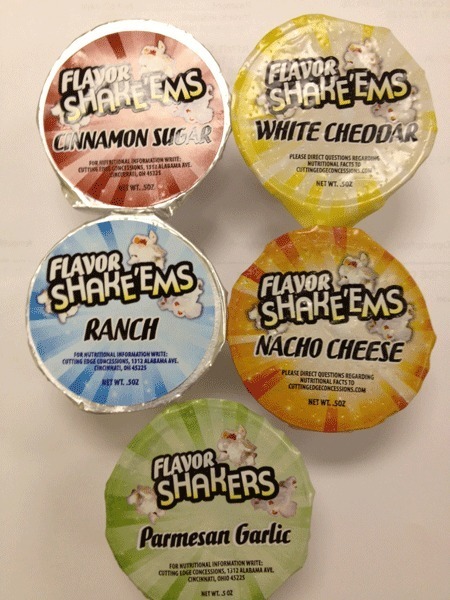 Shake'Ems seasoning cups, distributed in movie theaters in California, Colorado, Arkansas and Tennessee. The product contains undeclared milk and red 40. 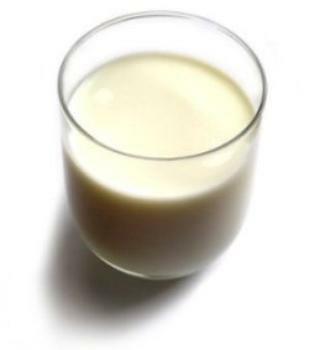 People who have an allergy or severe sensitivity to milk run the risk of serious or life-threatening allergic reaction if they consume these products. No illnesses have been reported to date. The products were distributed in a .5 oz. plastic cup labeled with Shake'Ems on the top. Flavors include: White Cheddar, Nacho Cheddar, Ranch, Cinnamon Sugar and Parmesan Garlic. The recall was initiated after the FDA discovered that the products contain milk and red 40, but product packaging did not reveal the presence of these ingredients. Subsequent investigation indicates the problem was caused by a temporary breakdown in the company’s labeling process. Production of Shake'ems has been suspended until the FDA and the company are certain that the problem has been corrected. Consumers who have purchased 0.5 oz. packages of Shake'Ems are urged to return them to the place of purchase for a full refund. Anyone with questions may contact the company at 952-237-1551 M-F 8:00 am – 5 pm EST. Cost Plus Inc. of Oakland, CA, is recalling about 17,000 recycled silk floor mats. The recalled mats can have a tack or staple woven into the fabric strips that can cut consumers, posing a laceration hazard. The company says it is aware of one incident in which a tack was discovered in a mat by a consumer. No injuries have been reported. The recycled silk floor mats measure 2 ft. by 3 ft. and were sold in a variety of color stripe combinations. "World Market" and "SKU 441536" are printed on the mat's white care label sewn into the bottom of the mat. 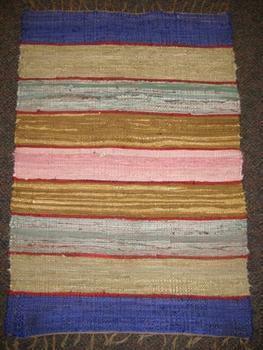 The mats, manufactured in India, were sold exclusively at Cost Plus World Market stores nationwide from June 2011 through May 2012 for about $17. Consumers should immediately stop using the recalled floor mats and return them to any Cost Plus World Market store for a full refund. For additional information, contact Cost Plus toll-free at (877) 967-5362 between 7 a.m. through 12 p.m. PT any day, or visit the firm's Website. 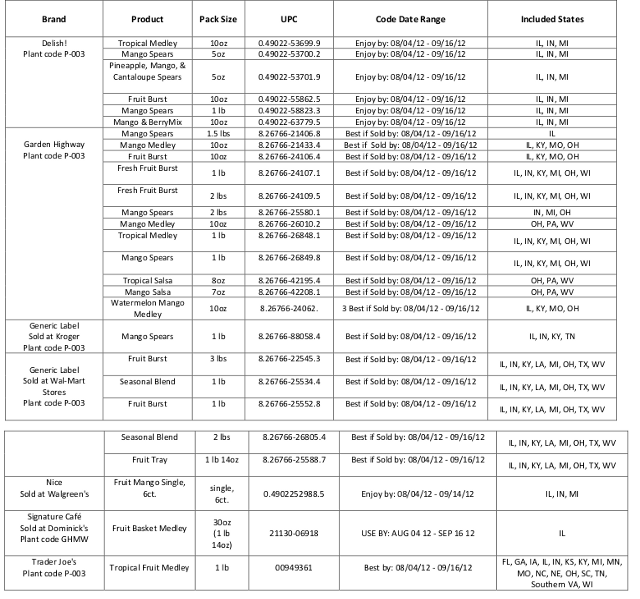 Manna Organics, Inc. of Newark, NJ, is recalling various soybean sprouts and tofu products listed in the table below because they have the potential to be contaminated with Listeria monocytogenes, an organism which can cause serious and sometimes fatal infections in young children, frail or elderly people, and others with weakened immune systems. The recalled products were distributed to various restaurants, retailers, and distributors in NY, NJ, PA, MA, VA, MD, CT, GA, IL and TX on or after July 17, 2012. The Jinga Firm and Soft, SooNyeoWon Firm and Soft Tofu are packaged in a square 16-ounce white plastic container with the label sealed on top with UPC Codes: 0 28346 09112 4, 0 28346 09111 7, 0 28346 07812 5 and 0 28346 07814 9. Expiration date of September 9, 2012 or later is printed in black on top of the label. The 5 pieces and 10 pieces tofu are packaged in a white plastic bucket. The 5 pieces and 10 pieces are lidded and labeled in Korean "Healthy Tofu" with UPC Codes 0 28346 09125 4 and 0 28346 09129 2. Affected products have an expiration date of July 25, 2012 or later. The Large Tofu Bucket(30 pieces), Soon tofu, and Small Tofu are packaged in a large, white plastic pail enclosed in a plastic bag labeled TOFU with the company name, address, and nutritional information listed directly below. Affected products have an expiration date of July 25, 2012 or later. SooNyeoWon Silken Tofu is packaged in a small 14-ounce square plastic container with the label sealed on top. It has a UPC Code of 0 28346 09113 1. There is an expiration date printed in black on top of the label. Affected products have an expiration date of September 9, 2012 or later. The Soybean Sprouts 16-ounce products come in a clear plastic sealed bag colored in red or green with the labels SOONYEOWON SOYBEAN SPROUTS or SOONYEOWON HEALTHY SOYBEAN SPROUTS with UPC Codes 0 28346 07121 8 and 0 28346 07140 9. The Soybean Sprouts 10lbs. and 5 lbs. bags come in a clear hand tied plastic poly bag labeled SPROUTS with the company info directly beneath it. The potential for contamination was noted after random testing by the New York State Department of Agriculture and Markets revealed the presence of Listeria monocytogenes in a 16-ounce package of SOONYEOWON SOYBEAN SPROUTS. Production has been suspended while FDA and the company continue to investigate the source of the problem. Consumers who have purchased any of the items listed are urged to return them to the place of purchase for a full refund. Consumers with questions may contact the company at 1-862-267-3400. Hours of operation are 9 AM to 5 PM EST, Monday through Friday. Specialized Bicycle Components Inc., of Morgan Hill, CA, is recalling about 100 bicycle brake levers. About 600 2010 and 2011 Shiv modules and 2012 Shiv TT modules were recalled in April. The adjuster cap and brake cable can slide out of position and make the brakes non-operational, causing a rider to lose control of the bicycle and crash. Specialized is aware of one incident worldwide in which the rider lost the function of both brakes. The firm has received no reports of injury or property damage. This recall includes Tektro TL-83 brake levers sold on 2012 S-Works Shiv bicycle frame modules, 2012 S-Works Shiv TT bicycle frame modules, and sold as aftermarket service parts for these modules. 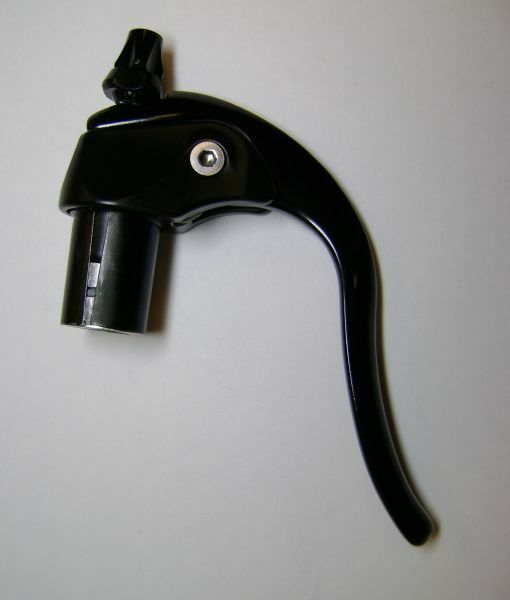 The TL-83 is a version of the TL-720 brake lever, modified with a quick release slot at the top of the lever arm and designed exclusively for use with aerodynamic handlebars (aerobars) sold as original equipment on these modules. They are black aluminum and model number "TL-720" can be read on the side of the lever arm when braking action is applied. The brake components, manufactured in China, were sold at Authorized Specialized Bicycle Components retailers from May 2011 to June 2012. The bicycle frame modules sold for between $5,500 and $6,100. The brake levers sold for about $80 as service parts. Consumers should immediately stop riding modules equipped with TL-83 brake levers and return the levers or modules to an authorized Specialized Bicycle Components retailer for free replacement brake levers. For more information and to find the nearest authorized Specialized Bicycle Components retailer, contact Specialized customer service between 8 a.m. and 5 p.m. PT Monday through Friday at (877) 808-8154 or visit the firm's Website. Quality Feed of Dousman, WI, is recalling milk replacer that was shipped between January 31, 2012, and March 31, 2012, because it has the potential to be contaminated with Salmonella. The company was notified last week by one of its suppliers, that six 40lb. bags out of 1026 bags purchased back in January 2012 were suspect for salmonella contamination. As a precaution, Quality Feed has put on recall notice all feed that had any of this load of raw material in its formulation. To date there have been no known illnesses associated with any of the milk replacer in question. The milk replacer was distributed throughout Minnesota, Wisconsin, Illinois, Indiana, Ohio, Pennsylvania, and New York under the name Quality Feed, Inc., Dairy Princess, Peachey’s or Yo-momma. 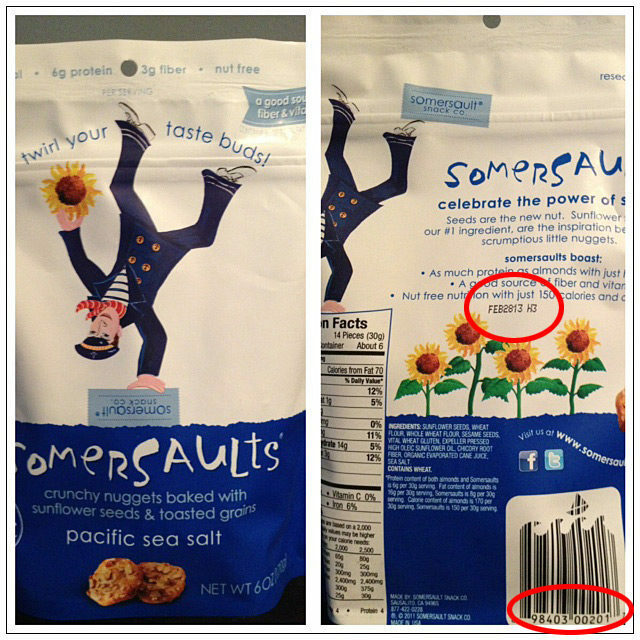 The recalled feed can be identified by the last four digits in the lot number on the bag ending in 0131 through 0323. Customers who have purchased any of this milk replacer are urged to return it to the place of purchase for a full refund. Customers with questions may contact Quality Feed, Inc. at 262-965-5400 between 7:30am – 5:00pm Monday through Friday central time. Volvo is recalling 300 model year 2013 S80 and XC70 vehicles. A software error within the Central Electronic Module (CEM) will result in the "TPMS Service Required" message appearing after approximately 15 minutes of accumulated driving over 25 mph. The error will prevent the Tire Pressure Monitoring System from warning the driver that a tire needs air. Thus, these vehicles fail to comply with the requirements of Federal Motor Vehicle Safety Standard No. 138, "Tire Pressure Monitoring System." World Foods, LLC is recall various products it distributes to retail supermarkets that contain mangoes associated with the Splendid Products recall of Daniella Brand Mangoes with the potential to be contaminated with Salmonella. There have been no reported illnesses attributed to the recalled items. World Foods, LLC, Florida is issuing this voluntary recall linked to Daniella Brands Mangoes to minimize risk to the public health. A list of the brands, products, pack sizes and affected area of distribution is provided in the table below. Affected products contain a plant code P-009 on the label adjacent to the UPC bar code. No other World Foods, LLC, Florida products or code dates are affected by this recall. The company has directly notified all customers who received the recalled product and requested removal from store shelves. Anyone who has the recalled product in their possession should not consume it and should destroy or discard it. Consumer with questions may contact the company at 1-407-851-4504, Monday through Friday from 8:00 am to 5:00 pm, Eastern Time. Somersault Snack Co. is recalling 418 cases of Somersaults Pacific Sea Salt 6oz. that were inadvertently mispackaged. Limited quantities of Somersaults Santa Fe Salsa flavored product were inadvertently commingled with Somersaults Pacific Sea Salt flavored product in packages labeled as Somersaults Pacific Sea Salt 6oz. The inadvertent commingling of these two products introduced another allergen (milk) to the Somersaults Pacific Sea Salt 6oz. packages, and that allergen (milk) is not listed on the packaging as either an ingredient or an allergen. People who have an allergy or severe sensitivity to milk run the risk of an allergic reaction if they consume the affected product. The product was distributed to retail stores nationwide. No allergic reactions have been reported. Consumers who believe they have purchased products affected by this recall, they should return the product to the store where it was purchased for a full refund. Anyone with questions may call 415-275-1247.